I was introduced to this cocktail by my daughter's friend Cassidy. Grapefruit and basil make a refreshing, not-too-sweet summertime cocktail. Muddled basil becomes small bits of green confetti floating in the drink. 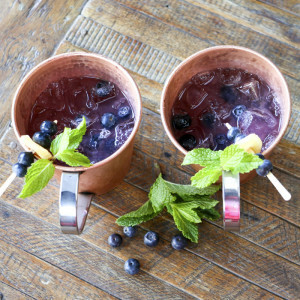 Prepare this cocktail by by hand-muddling the basil in a cocktail shaker. Add some solid ice cubes, fresh-squeezed grapefruit juice, vodka and a generous splash of St. Germain. Shake until shaker is well condensed and pour into a martini glass. Delightful! St. Germain has become the rage in in trendy bars and fine restaurants around the world. St. Germain is a French hand-crafted liquor made from elderflowers that grow wild in the French Alps. The elderflowers bloom once a year and are hand-picked and transported by bicycle during a short 4-6 week harvesting period. The flowers are macerated using a family secret technique. The result? A delicate, floral liquor with hints of pear, peach, lychee and grapefruit zest. Cocktail shaker, muddler, a jigger and a martini glass. 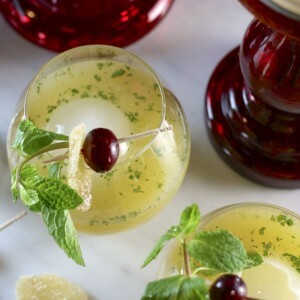 See my post on techniques for the novice mixologist to learn how to make great hand-muddled cocktails. Use only fresh-squeezed grapefruit juice and solid ice cubes. A refreshing hand-muddled grapefruit and basil cocktail shaken with vodka and a generous splash of St. Germain liquor. Delicious! Put basil leaves in the bottom of a cocktail shaker. Muddle to break down the leaves. Fill shaker with ice cubes. Pour in vodka, St. Germain and grapefruit juice. Place top on shaker and shake vigorously for 20 seconds until condensation forms on the outside of the shaker.